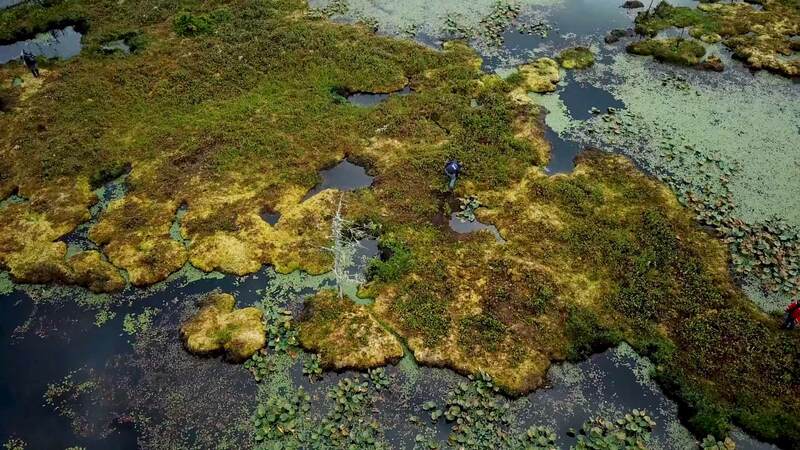 Jesse Beers, Siuslaw Tribal Member and Cultural Stewardship Manager with the Confederated Tribes of the Coos, Lower Umpqua, and Siuslaw Indians, removes invasive species from floating islands on Tahkenitch Lake. As a partner with the Siuslaw Watershed Council Jesse brings Traditional Ecological Knowledge to restoration projects throughout the basin. Jesse Beers, Siuslaw Tribal Member and Cultural Stewardship Manager with the Confederated Tribes of the Coos, Lower Umpqua, and Siuslaw Indians, removes invasive species from floating islands on Tahkenitch Lake. As a partner with the Siuslaw Watershed Council, Jesse brings Traditional Ecological Knowledge to restoration projects throughout the basin. 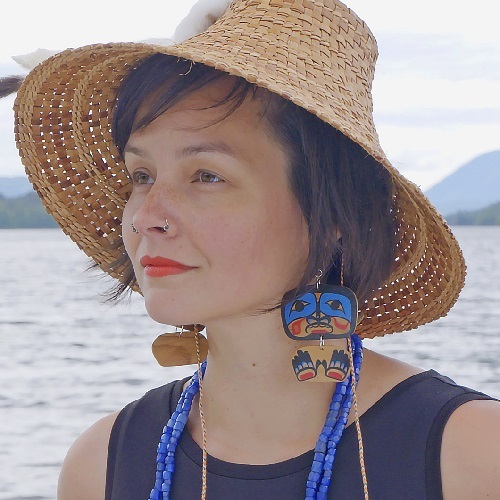 The deep historical perspectives and connections to place of Native American Tribes, First Nations, and Alaska Natives have guided our work since our founding in 1991. Erica Madison, pictured here, owns and operates Madison Salmon, Co. in Bristol Bay, Alaska. Along with a cohort of nearly 30 other farmers, ranchers, and fishermen, Erica participates our Ag of the Middle Accelerator program, gaining hard skills to sustain her business. Erica Madison, pictured here, owns and operates Madison Salmon, Co. in Bristol Bay, Alaska. Along with a cohort of nearly 30 environment- and community-minded farmers, ranchers, and fishermen throughout the Pacific Northwest, Erica participates our Ag of the Middle Accelerator program, gaining hard skills to sustain her business. Green Workforce Academy students Selena Gutierrez, Eric Hayes, and Earl Ramsey Jr. are at a field training with farmer and co-owner of Mudbone Grown, Arthur Shavers, and instructor Jason Stroman. Green Workforce Academy was founded by a collaborative including Ecotrust, Blueprint Foundation, Wisdom of the Elders, Self Enhancement Inc., Native American Youth & Family Center, and ReBuilding Center. Green Workforce Academy students Selena Gutierrez, Eric Hayes, and Earl Ramsey Jr. pause during a field training with farmer and co-owner of Mudbone Grown, Arthur Shavers, and Academy instructor Jason Stroman. The Green Workforce Academy was created by a partnership between Ecotrust, Blueprint Foundation, Wisdom of the Elders, Self Enhancement Inc., Native American Youth & Family Center, and ReBuilding Center. With the goal to advance social justice, the collaborative is currently focused on addressing the lack of job opportunities and career pathways in environmental sectors for young adults of color in Portland. Inspire fresh thinking that creates economic opportunity, social equity, and environmental well-being. Ecotrust staff members Stephanie Cowherd and David Diaz visit the Swinomish Indian Tribal Community in Northwest Washington. Carman Ranch, a fourth-generation operation in Wallowa County, Oregon, produces grass-fed beef, pastured pork, and chicken. Rick Minor works in partnership with the Siuslaw Watershed Council on the the Fish Creek Habitat Restoration Project in Lane County, Oregon. Stephanie Cowherd picks a native thimbleberry while visiting the Swinomish Indian Tribal Community. Members of the Philippine American Chamber of Commerce, a recipient of our Community Grants Program, gather on our Rooftop Terrace. Make your event unforgettable by celebrating in our park in the sky. Take your warehouse wedding vision to new heights. 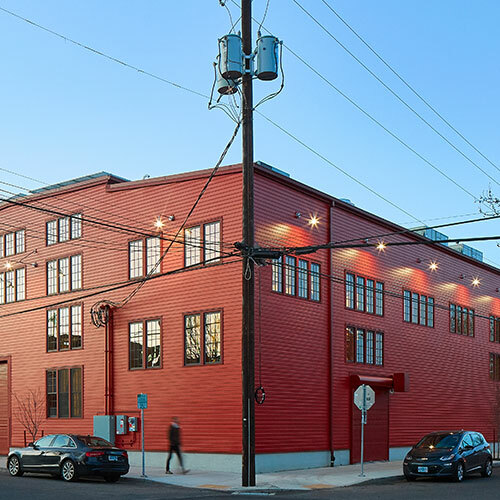 The Redd on Salmon Street allows you to go big and bold with our smartly renovated space in Southeast Portland. Spacious, industrious spaces in Portland's Central Eastside will animate your vision. The Main Hall sets the scene for big, think-outside-the-box celebrations and convenings. Elevate your pop-up, cooking class, or food-centric event at the Redd. Our Community Kitchen features plenty of space for guests to watch, learn, create, and eat. Introducing our newest space at the Natural Capital Center, the Irving Street Studio. Energize your rainmaker fundraisers, unique markets, and elegant social gatherings with this bright, historic space. Your commitment means big impact for the forests, farms, waters, and cities of our Pacific Northwest home.